The role of IT within organizations has undergone a number of dramatic changes in recent years. First, people began to bring their own devices into the workplace, sparking a shift toward the consumerization of IT and lessening the control that IT departments have over hardware. Then cloud computing and software as a service opened up new ways to consume technology services. And, according to an Avanade study, as cloud makes it easier for leaders to consume business services – more and more technology investment decisions are happening in other areas of the business. Are CIOs and IT organizations doomed to become irrelevant? Hardly likely. If anything, the digital era has brought with it a new opportunity for CIOs and IT to assume a more strategic role and make themselves even more relevant than before. Today, they act as service brokers, helping leaders in other areas of the business rapidly deploy and consume new services while making sure that enterprise concerns around security, governance and management are also met. They are in essence responsible for helping their organizations tap into the potential that cloud – and hybrid cloud in particular – offers. 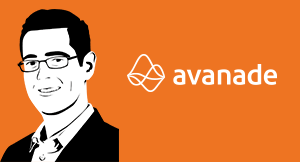 There has been much hype in the marketplace about hybrid cloud, and indeed a global study from Avanade shows that the tipping point for hybrid cloud adoption is fast approaching (and by fast, we mean within the next three years). And yet, while many business leaders are eager to take full advantage of hybrid cloud solutions, few have have a full understanding of what these advantages are. Consider, for example, that less than half (46 percent) of business leaders interviewed knew that hybrid cloud includes distinct public and private clouds; 39 percent were aware that hybrid cloud can include multiple public clouds, making it possible to place workloads on the lowest-priced cloud solution; and 35 percent understood that hybrid cloud provides the ability to “burst” or scale up or down as needed. Little wonder then, that a majority of companies are still simply using the cloud infrastructure to run existing applications rather than leveraging the full speed, scale and efficiencies that native cloud applications offer. It’s all about the apps, and the IT executive’s expertise and guidance is essential. So what is the allure of hybrid cloud? Hybrid enables organizations to blend private cloud services with public options to support both existing systems and new workloads. In a world where IT is moving at two speeds – lightning-quick innovation and the day-to-day needs of the legacy estate – having an environment that can support both is a competitive advantage. Additionally, hybrid cloud offers new levels of control, governance and reliability combined with agility and innovation. Whatever the hype is around hybrid cloud, it’s working. In the Avanade study, 72 percent of C-level respondents said they’d be likely to adopt a hybrid cloud solution within the next three years. Seventy-seven percent believe that hybrid cloud will give them a competitive advantage, and 76 percent believe it will allow them to focus on core growth opportunities. Three-quarters think that hybrid cloud strategy should be a major area of focus in 2015 – although only 42 percent claim to have a hybrid cloud strategy today. And yes, here’s where IT executives come back into play once again. CIOs and their teams have the opportunity – and the responsibility – to lead the rest of the organization to the promised land of hybrid cloud. The first step for IT executives should be making sure they fully understand the business’s strategy and objectives, so they can build a hybrid cloud roadmap which aligns to and supports the business direction. From there, they can work on vetting the security and privacy of hybrid cloud solutions as well as finding or developing new applications to take full advantage of hybrid cloud’s speed and scalability. To move hybrid cloud from hype to reality, organizations need to move from enthusiasm to expertise. No one is better positioned to lead the charge than the CIO and their IT organization. With this latest technology trend – as with so many others – it will be IT who charts the course from experimentation to results realized. Research shows that hybrid cloud is a focus area for businesses, yet most organizations have not adequately prepared for the transition. IT, the future is now. The low-cost cloud has fueled the current explosion of innovation. Here are some key principles that improve the transition from idea to production.